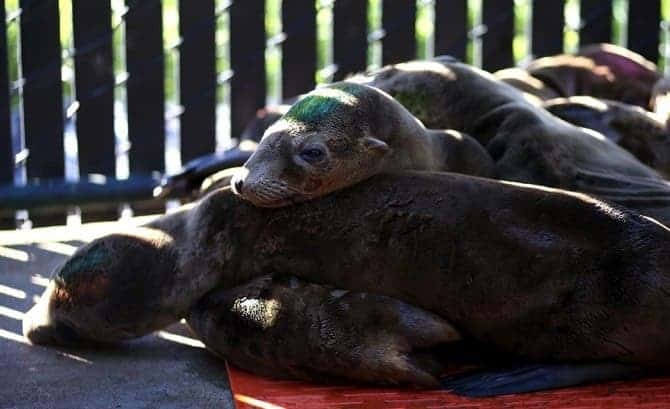 Sea animals are dying off in huge numbers off the Pacific coast from Baja, Mexico – all the way to Alaska; there’s a good chance we can’t really do anything about it. The warm expanse appeared about a year ago and the longer it lingers, the more risks it poses, and the more animals it kills. It’s a combination of natural and man-made causes that work together and are killing off bottlenose dolphins, sardines, sea birds, plankton, krill, salmon, sea lions, starfish, and brown pelicans in record numbers. To make things even worse, the high temperatures are also wiping off plankton and krill, the bottom of the food chain. “Right now it’s super warm all the way across the Pacific to Japan,” said Bill Peterson, an oceanographer with NOAA’s Northwest Fisheries Science Center in Newport, Ore., who has linked certain ocean indicators to salmon returns. This year alone, sea birds like Cassin’s auklets, who eat plankton, have been washing ashore by the tens of thousands. Bottlenose dolphins are also killed in worrying numbers, and the number of salmon returning to spawn in their native rivers and streams has been has reduced by half. Brown pelicans have reportedly stopped breeding altogether. By now, there seems to be overwhelming evidence that we are heading towards a major, global extinction – one that we, humans, are causing. 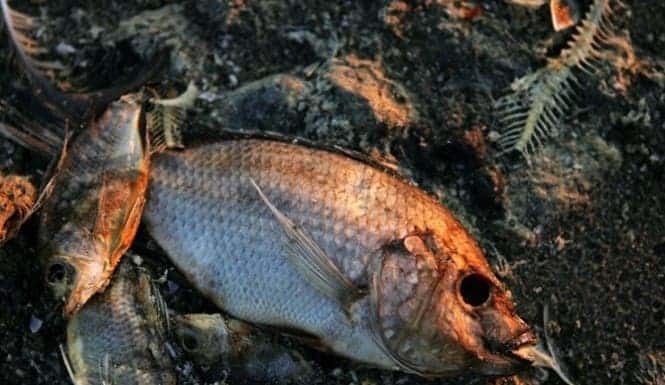 This is not just the media exaggerating or hyping out this die-off; sadly, die-offs are becoming more and more common as years pass and global temperatures continue to rise. “There are quite a few lines of evidence that mortality events are increasing in frequency and possibly severity, at a rate greater than could be explained by observer bias alone. Scientists generally take that kind of thing into account and most natural and earth scientists are much more overcautious than otherwise. The most recent science has quite conclusively demonstrated an increase in the types of disturbances that drive these mortality events too, including severe storms, heat waves, harmful algal blooms, and disease outbreaks,” Jurgens concludes in her AMA.